It was a bit of surprise when the Rangers optioned Willy Calhoun in mid-March. It appeared he might be headed for at least a platoon share with the big club, but the Rangers decided otherwise, and they decided decidedly (if you can do that). Service time or defensive issues? I don't know. Probably both. The elephant in the room here, to be brief is that Willy cant play a major league second base. He's Hanley-esque in left field and he can play a little league first base in that at 5-8, he could actually play first base in little league. He can, however, play DH, it's just that the Texas DH slot is relatively booked. The Rangers will continue to work on his LF conversion in the minors. Willy's offense is a different story. His contact skills and approach are outstanding as you can see below. His high-minors resume is littered with sub-10% SwStr rates and sub-15% K rates. The power is obvious. He's been a little pull-dependent which can make a power guy vulnerable to sophisticated pitching and power volatility but he didn't appear particularly vulnerable in AAA last year so I am going to table that concern for now. I'm going to instead focus on the major concern which is that Willy is a good looking hitter without a position as it stands, and therefore he's a bit shy on opportunity. That's the real issue here. When an opportunity presents itself Willy can make an impact. If he carries a 2B qualification in your league a significant impact, as an OF or DH, however, a little less significant. He's not a bad guy to stash. Willy is going to get a shot this year and he'll be a good source of pop that will probably be league-level in AVG and OBP. The Braves' young left-hander was expected to compete for a rotation spot with the big club but a groin issue scuttled the beginning of his spring program and a left ankle sprain took the rest of his spring, so Luiz will spend at least April stretching out in order to challenge for the 5th slot in Atlanta. There is a range of opinions on Gohora. His fastball/slider combo, headlined by his 100+ velo capability, promises the Holy Grail of the Power Lefty that is so coveted... Got a question yet?... His first tour of the high minors saw K rates of 27.7% in AA and 31.2% in AAA with strong SwSt rates of 12.1% and 14.5% respectively. Ok, your question is ... " Wait ... Is there a third pitch?" He's bringing a change along and many reports are encouraging. He threw it 11% of the time in his 5 starts in the majors last year, so he has some confidence in it. It's not really good yet. His fastball averaged 96 in those 5 starts and his change averaged 88. An 8 mph delta isn't so bad, especially when your slider clocks in at close to a -13 mph delta to your #1. Still, his arm action isn't great, his command is less great with his change, and the pitch is a bit limp without depth and fade. All of that resulted in a -4.3 value/100. His fastball had a slightly negative value as well (-1.4, but his slider was +3.6). Generally, his command is lacking throughout his pitch menu as well as a general polish. He's almost 22, and he's been under pro tutelage since he was 16. Still, he only has 116 IP above the low minors, so I am torn about his ability to up his craftsmanship. What I know is that it is time for him to step up. The bottom line is that *two pitches = reliever*. Yes, that's still a thing. That remains true in major league baseball. 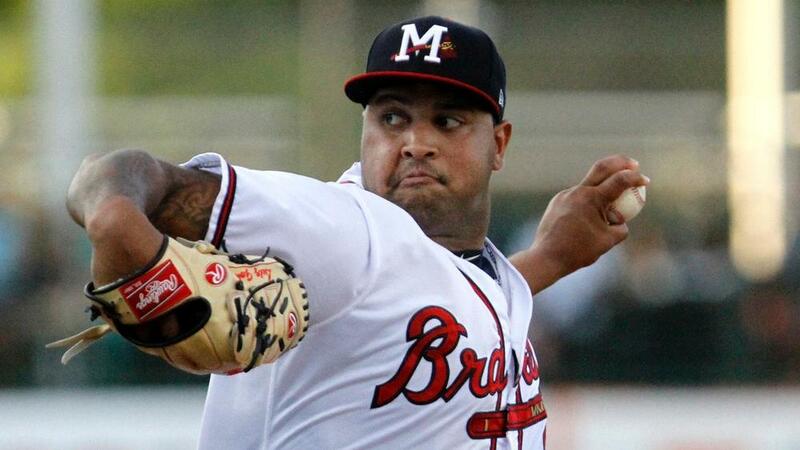 If the Braves can bring Luiz's change along we could be looking at decent #3 starter and the club seems to be committed to that outcome right now. It could happen. But if I have to take a stand today, I'm leaning towards the 7th or 8th inning in the long term. 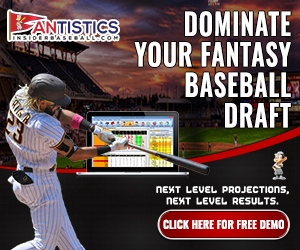 "Registered members can click on the following link to see the complete Prospect Central article for this week, which includes other prospects: http://www.fantistics.com/baseball00/M-Prospect.htm Click here for premium membership details: http://www.insiderbaseball.com/baseballsample.htm"